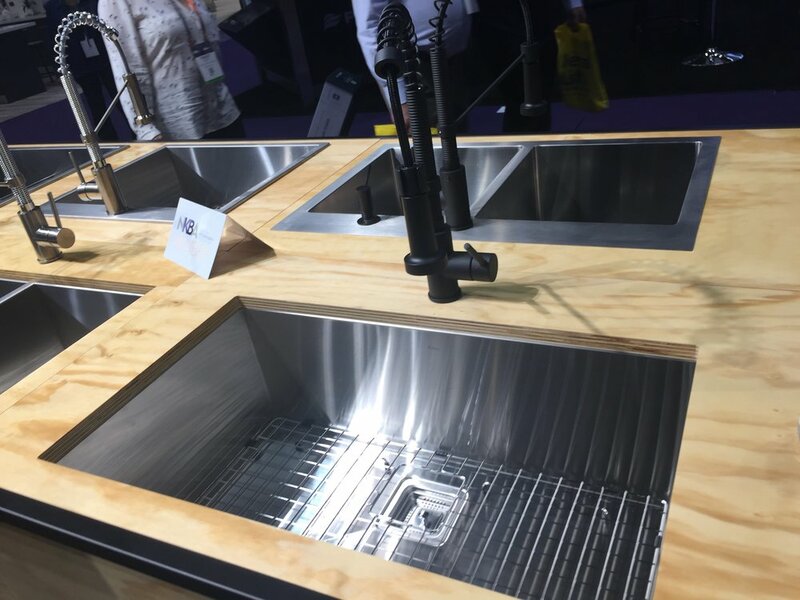 The annual trade show, the Kitchen & Bath Industry Show, was held in Orlando this year, showcasing the newest and greatest ideas, products, and services for the design and construction community. 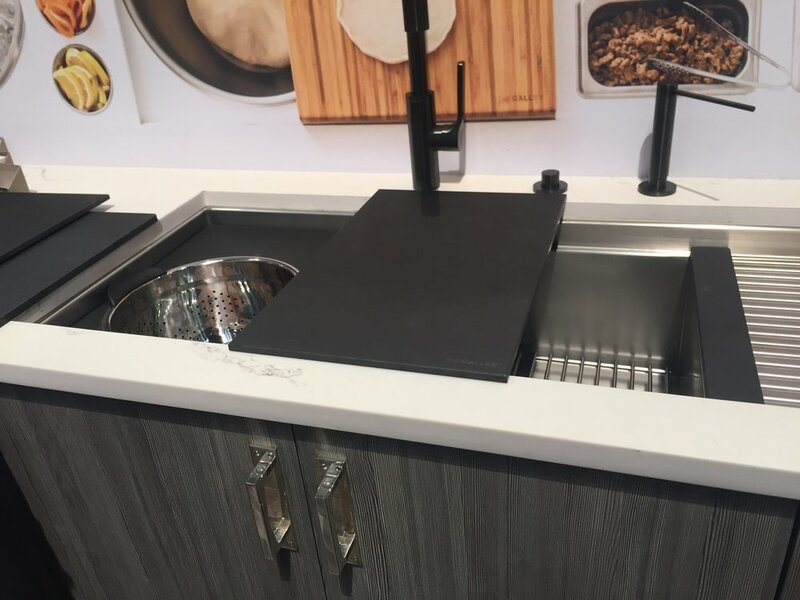 Trends like the white-on-white craze for kitchens are continuing this year but with slight variations in shades to create a subtle, rich, contrast while maintaining that subtleness for countertops and flooring. Flat-panel cabinet doors, most associated with a modern aesthetic, is still the top choice but mixing colors and textures are staying strong. 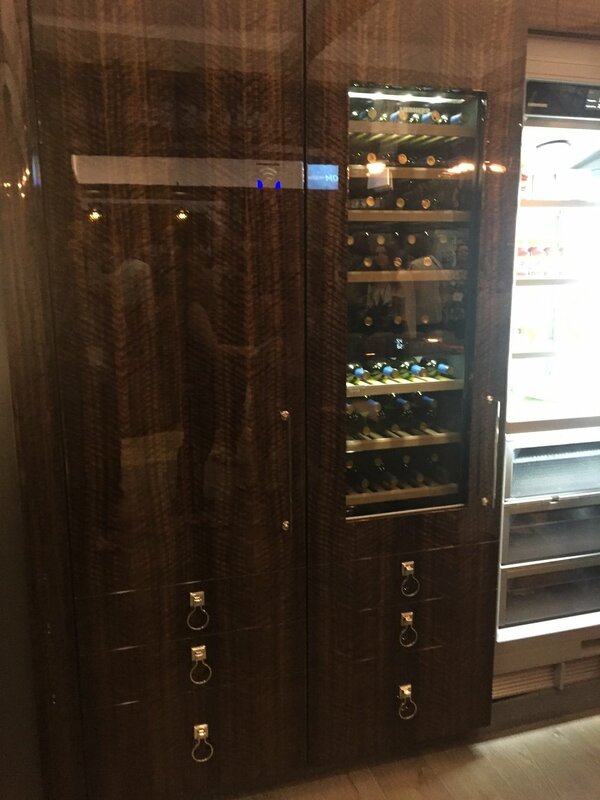 Textured melamine doors with high gloss accent cabinets were shown at almost every cabinet display. Countertops are one of those products for the kitchen that maintain the priority when planning the space. Quartz (engineered) materials are still the number one choice with homeowners. More and more subtle patterns and veining are making their way into a normally typical kitchen...it's the look of natural stone without the headaches of worrying about maintenance and durability. While homeowners are keeping to the clean and classic aesthetics, splashes of color are making its way to break out the monochromatic palette, creating a more personalized space: mixing cabinet colors, different color for the island countertops, bold and bright tiles for splashes, and pops of color for appliances. And appliances at the show were creating quite a buzz. The advancement of technology has provided manufacturers ways to provide homeowners these great benefits (although not cheap)...Refrigerators can make shopping lists and send them to your phone, repair parts and water filters can be shipped when the appliances "talk" to the factory, and alert messages can be sent via text when your refrigerator door is open or if your dishwasher is leaking. 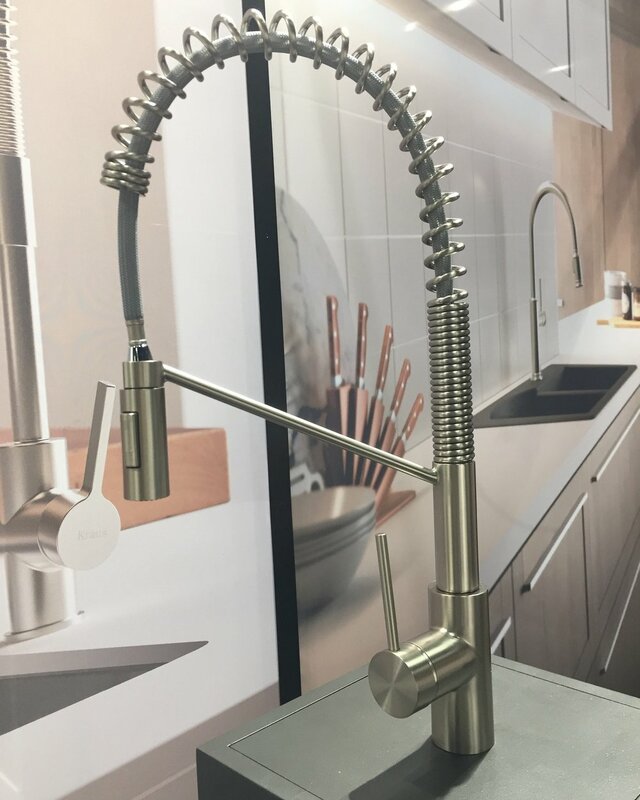 Integration of technology is already for the house but we anticipate that it will be an important part of our everyday life in the kitchen and bath this year and next.